How realistic are your goals? Tools on this site will help you monitor how you're going. Click on the Financial Tools / Calculator button to login, or register, to use this powerful resource. Most Baby Boomers have missed out on a life time of superannuation contributions which leaves many with a gap between how they'd like to retire compared to what their assets can deliver. This is not uncommon, see article below titled 'Lack of literacy promotes unrealistic goals'. Often a better understanding of your position, and given some time, is like turning on a light and is a call to action. For many this might even mean seeking professional help. 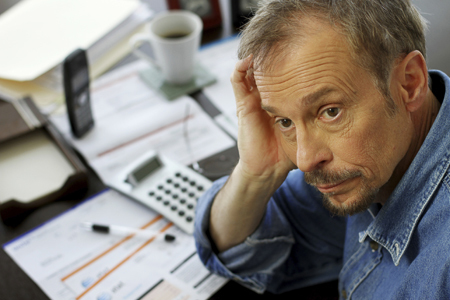 Preparing for the retirement you want is complex and often difficult. On this website there are tools you can use to review how your Superannuation is going compared to your retirement goals. These Tools are available 24/7 and are accessed via the Financial Tools / Calculator button. All you need do is enter the information required (this might take a bit as no one's life is that simple) and the software will automatically fill, where it can, some of the forms for you. Once done you can go to the Toolbox and modify the Super Optimiser tool to see what might be needed to be retirement ready. While doing this you can ask you planner or accountant a question or two using the contact form on the right. You can also prepare a budget and analyse your cash flow at the same time. 24/7 access is also very handy. Also all information you enter is available when you next login. This means you can build a very accurate picture of your financial position over time. Once done then this information is readily available to you by simply logging back in to our site at any time of the day or night. Don't forget either that time is important when building a 'nest egg' so offer these tools to your children as well. Every little bit helps. Finally, if you have any questions after using this resource then simply ask us as we can help.